Nick Adams In America – Page 28 – The future of medical cannabis is very bright. Federal legislation that would legalize industrial hemp across the United States has rapidly advanced to the Senate floor. Filed by Senate Majority Leader Mitch McConnell (R), the proposed law (the Hemp Farming Act of 2018) would remove hemp from the federal controlled substances list, effectively legalizing its cultivation and production. In no small part due to the bill being filed by the Senate majority leader, it has been fast-tracked past the committee process and directly to the Senate floor. This is possible through the usage of a procedural move known as Rule 14. Although the move doesn’t guarantee the measure will receive a Senate vote, it makes it incredibly likely. “By legalizing hemp and empowering states to conduct their own oversight plans, we can give the hemp industry the tools necessary to create jobs and new opportunities for farmers and manufacturers around the county,” McConnel said in a statement announcing the bill’s filing. The measure is cosponsored by Senators Ron Wyden (D), Rand Paul (R) and Jeff Merkley (D). In addition to legalizing hemp federally, the bill allows states to determine their own hemp laws and hemp regulations. Those wanting to research hemp would be able to receive a license from the Agriculture Department. The post Federal Legislation to Legalize Hemp Advances to Senate Floor appeared first on TheJointBlog. If you’ve ever done any kind of gardening—any kind at all—chances are you’ve said these words at least once: “What the deuce is wrong with these plants? !” All right, maybe not those exact words, but something to that effect. This sentiment is usually followed by some level of panic because there’s now a very real possibility that you could lose the plant completely (i.e., it dies). This is especially true when you’re growing cannabis because the end result is a homegrown psychedelic trip or some much-needed medication. So there’s real value waiting for you at the end of this particular rainbow. One of the more common “What the…” problems is magnesium deficiency in cannabis. It can affect any strain at any time and eventually leads to the complete failure of your crop (again, that’s DEATH, boys and girls). So what’s a concerned cannasseur to do if magnesium deficiency rears its ugly head? Treat the problem and prevent it from happening again, that’s what. But how exactly can you tell if it’s magnesium deficiency or something else entirely? The experts at Honest Marijuana are here to help. We’ll be your superhero! What does magnesium do in cannabis? Can pH levels affect magnesium absorption? How long after diagnosis until your plants look better? That’s a lot to get to, and we realize the life of your precious pot plants is on the line. Time is of the essence, so let’s get started saving the day. Cue Mighty Mouse theme song. Reporting on Washington State’s legal marijuana market is slow-going, with data released by the Liquor and Cannabis Board being months behind other states. Washington’s Liquor and Cannabis Board, which oversees the state’s legal marijuana industry, operates a neat and fairly comprehensive Marijuana Dashboard which has detailed statistical information regarding marijuana sales, licensing and production. The problem is that the Board seems be incredibly slow at collecting data, and/or reporting it. The latest monthly sales data for Washington’s marijuana industry was released by the Board roughly two months ago. This was data for October, 2017. This means that data for November, 2017 and onward is unreported and completely unknown by anyone outside of the Board (or maybe it’s even unknown to them). By contrast, in Oregon and Colorado, states which have their Department of Revenues overseeing their marijuana markets, sales and tax data is reported through February of this year. This means that they’re four months ahead of Washington’s available data, and just one month behind current time (this makes March the only finished month where data isn’t yet available, though it will be soon). Although data being released so slowly isn’t a life-changer for most people. even for those in the industry, it’s another sign that the Board may not be entirely fit to handle the job they’ve been tasked to do. Way back in 2015 we reported on how the Board was utterly confused about the state’s then-new medical marijuana law, and was giving bad advice to medical marijuana collectives that could have led to them receiving felony charges. We reached out to the Liquor and Cannabis Board for their thoughts on this issue but they have yet to respond. Sen. Cory Gardner (R-CO) says he’s made a deal with President Trump that will protect businesses in legal marijuana states. In exchange, Gardner said he would no longer block Trump’s Justice Department nominees. President Trump has pledged that the federal government won’t interfere with state laws that legalize marijuana, and says he’ll support legislative efforts to cement this. Senator Cory Gardner (R-CO) says that he has received commitment from President Donald Trump that the administration will not take action to disrupt marijuana markets in states that legally regulate the substance, and because of this will s top his blocking of all Department of Justice nominees. White House Press Secretary confirmed during a press conference that Trump has spoken to Garnder about marijuana on several occasions. The Marijuana Policy Project is looking for our next Executive Director to run the nation’s leading marijuana policy reform organization! We are taking advantage of our first-ever change in executive leadership to cast the widest net possible so we can find just the right person to lead us into the future at this critical juncture in marijuana policy. We are looking for a leader with a personal commitment to marijuana policy reform and individual liberty who has the drive, skills, and experience to end marijuana prohibition. Marijuana reform is one of the country’s most popular and bipartisan issues, with public support more than doubling over the last 20 years. The opportunity has never been greater to make historic changes to the nation’s marijuana laws. The Executive Director will lead the team responsible for over half of the current medical marijuana and adult use legalization laws in the country. The position develops and implements the organization’s political strategy and goals in conjunction with the staff and Board of Directors. Ensuring fiscal stability is a major part of the job, and the ideal candidate will have a track record of successful fundraising and a demonstrated ability to run a fast-paced, mission-driven organization of 20 or more employees with a primary focus on changing laws. Interested parties should contact edsearch@mpp.org with a cover letter, resume, and a list of professional references. Matthew Schweich, the current executive director, is committed to leading the organization until his successor has been named. He will then focus his attention on the Michigan and Utah ballot initiatives campaigns. Mr. Schweich joined MPP in early 2015 as the director of state campaigns, and he was the campaign director for the 2016 legalization ballot initiative campaigns in Maine and Massachusetts, and also worked on the 2016 Nevada campaign. He was named executive director of MPP in November 2017. Louisiana’s full House of Representatives has voted to expand the state’s medical marijuana program (passed in 2015). The House voted 60 to 39 yesterday to expand the list of qualifying medical marijuana conditions. Filed by Representative Ted James, the House-approved legislation would add intractable pain, glaucoma, post-traumatic stress disorder (PTSD), severe muscle spasms and Parkinson’s disease to the conditions eligible for medical marijuana use. A separate measure by Representative Rodney Lyons, which has already passed the House, would also add autism to the list. “We’ve got a lot of vets who don’t want to take drugs, the heavy drugs,” says Representative Kenny Cox, a retired Army officer who argued that the law could help military veterans suffering from PTSD. The proposal must now be passed by the Senate before it can be sent to Governor John Bel Edwards for consideration. “If we can prolong life and ease pain for one young person, one senior with this bill, I think we’re headed in the right direction,” says Representative James. Passed in 2015 and altered in 2016, Louisiana’s current medical marijuana law allows those with cancer, cerebral palso, epilepsy, muscular dystrophy and other specific conditions to use marijuana in non-smokeable forms such as oils, sprays, pills and topicals (like lotions). The post Louisiana House Votes to Significantly Expand Medical Marijuana Program appeared first on TheJointBlog. The post Alaska Governor Signs Bill Legalizing Hemp appeared first on TheJointBlog. This week, the Maine House and Senate overwhelmingly passed LD 1719, which would set up Maine’s adult-use marijuana market. MPP was neutral on the bill, as it removed social club licensing from the initiative voters passed in 2016. LD 1719 also reduced the number of plants adults can cultivate at home from six to three flowering plants. That said, it’s been 18 months since Maine voters passed Question 1, and it is time that adults had a legal place to purchase marijuana. Given the veto-proof margins that LD 1719 passed by, we are uncertain if Gov. LePage will veto the bill. If he does, many lawmakers will have to change their votes to sustain his veto. We will keep you posted on what happens next. 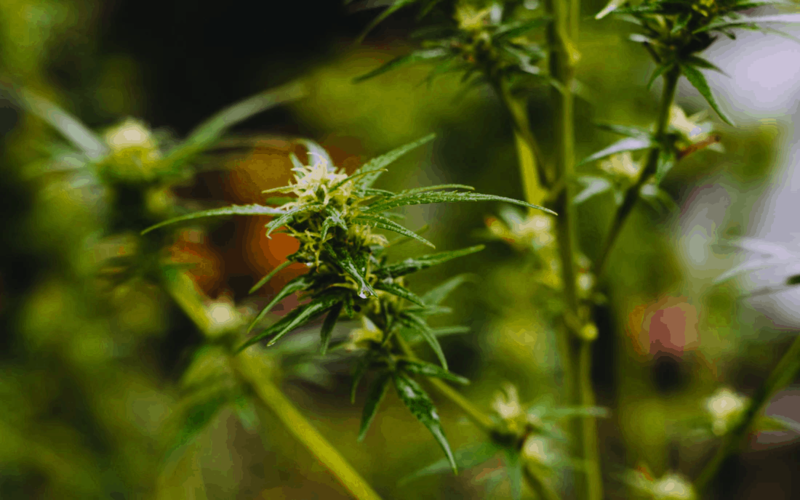 The post Maine Legislature Passes Commercial Marijuana Regulations appeared first on MPP Blog. 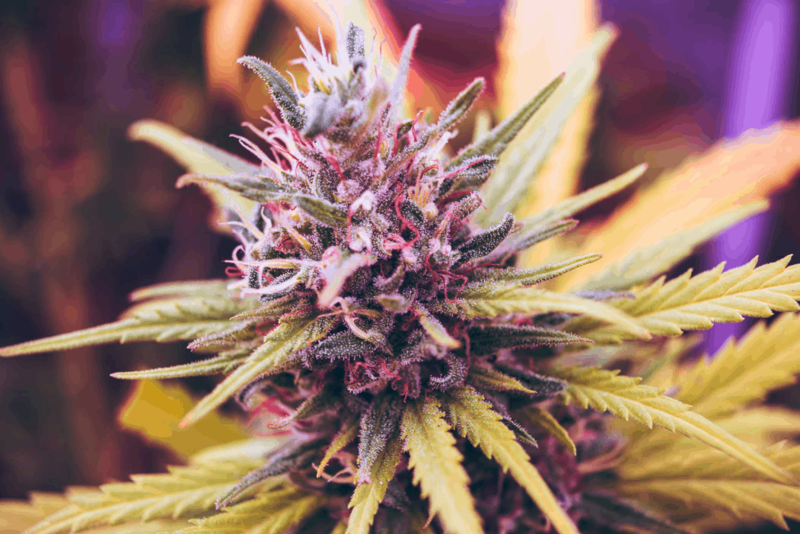 The post Study: Marijuana Legalization Associated With Reduction in Crime, Drug and Alcohol Use appeared first on TheJointBlog. The mayor of Albuquerque, New Mexico has signed into law an ordinance that decriminalizes the personal possession of marijuana. The new law, approved by the city council earlier this month in a 5 to 4 vote, makes the possession of up to an ounce (28 grams) of marijuana a simple $25 ticket. It was signed into law today by Mayor Tim Keller (D). A similar proposal was vetoed by then-Mayor Richard Berry (R) in 2015. “At the end of the day, our police officers have more important things to do”, says Councilmember Pat Davis, who filed the measure with Councilmember Isaac Benton. Davis compares the ticket that would be given to those possessing an ounce or less of marijuana to a traffic ticket. Albuquerque is by far the most populated city in New Mexico with roughly 560,000 residents, roughly a fourth of all residents in New Mexico (which has a population of slightly over 2 million). The post Albuquerque Mayor Signs Marijuana Decriminalization Ordinance Into Law appeared first on TheJointBlog. Legislation that would make it legal for school nurses to give medical marijuana to students who are registered patients has been passed by Colorado’s full Senate. House Bill 1286 was passed today through its third and final reading in the Senate; the vote was 47 to 17. The measure now moves to the House of Representatives, where passage would send it to the desk of Governor John Hickenlooper. The full text of this proposal can be found by clicking here. The post Colorado Senate Approves Bill Allowing School Nurses to Give Medical Marijuana to Patients appeared first on TheJointBlog. It’s that time of the year when cultivators start preparing plants for the outdoor season. Here’s what you need to do to get your cannabis garden growing. Certain strains thrive in certain climates. Sativas like Blue Dream are generally more resistant to high temperatures and humidity levels. They can take up to 14 weeks to flower in the hot climates of the Southwest or Southeast. Indicas like OG Kush, which flower in seven to 10 weeks, are more acclimated to areas like the Midwest or Northeast. They prefer dryer climates. If it rains all summer, you may want to choose a hybrid strain. It’s important to think about your local climate when deciding which strains to grow and when to bring plants outdoors. Seeds will “pop” with 7-10 days. Start germinating seeds in early spring—April or May, depending on your climate. You can acquire them from a seed bank. To begin, take a small paper towel and dampen it. Squeeze out any excess water and lay the towel down on a flat surface. Put the seeds in the center of the towel, fold it two or three times, being careful not to lose any seeds, and then place it into a baggie or container. Leave it in a dark, warm place out of direct sunlight. Check your seedlings daily to make sure they don’t dry out. Once little white sprouts are present, they’re ready to move to small cups or pots. Alternatively, you can start with clones from a previous crop or acquire them from a friend or a dispensary. Simply take the cuttings and place them in a soil medium of your choice (see Step 3 below) and let them take root and flourish. John Boehner, who served as the Republican Speaker of the House from 2011 to 2015, has joined the Board of Advisors for Acreage Holdings, a multi-state corporation operating in the medical and recreational marijuana space. The company holds licenses for dozens of cannabis businesses in the United States. Among California’s bustling marijuana industry, you’ll find a wide variety of marijuana edibles. But when you want the very best – natural, top-notch products – nothing beats Kushy Punch! Kushy Punch edibles are among the top selling edibles in all of California, despite being introduced just 3.5 years ago. Given the company’s quality products and increasingly pristine reputation, it comes as no surprise. Kushy Punch edibles are completely safe from harsh chemicals, and made using a unique method that doesn’t use starch molds or drying tunnels. Their edibles are potent, portable and crafted by professional confectionery chefs, giving them a superb quality and taste. They come in several delicious flavors such as strawberry, plum and tropical punch. Kushy Punch’s line of medicated gummies come in five different varieties and potencies: Sativa, Hybrid, Indica, Recover (THC+CBD), and Kushy CBD (CBD gummies). All of their gummies are made with the terpenes inside to give the consumer a more superior experience than you will find with other edible companies. Impressively, Kushy Punch products are located in over 1,200 dispensaries in California, and will soon will be expanding into Oregon, Washington, Nevada, Colorado and Arizona. You can find a list of dispensaries carrying their products by clicking here. In addition to gummies, Kushy Punch recently Launched KushyVape, a line of vape pen products. For these products, they start with 95% pure THC and add terpenes to reconstitute a SATIVA, INDICA or HYBRID variety. They never use any cutting agents like PG, VG, PEG. They also have disposables that are also made with 95% THC oil and terpenes. Their cartridges are top flow meaning people get the biggest hits – almost like dabbing. A key legislative committee in Missouri’s House of Representatives has approved a bill to legalize medical marijuana. We all want thicker, longer, healthier hair. Even the guys reading this article want great hair (don’t shake your head—you know it’s true). 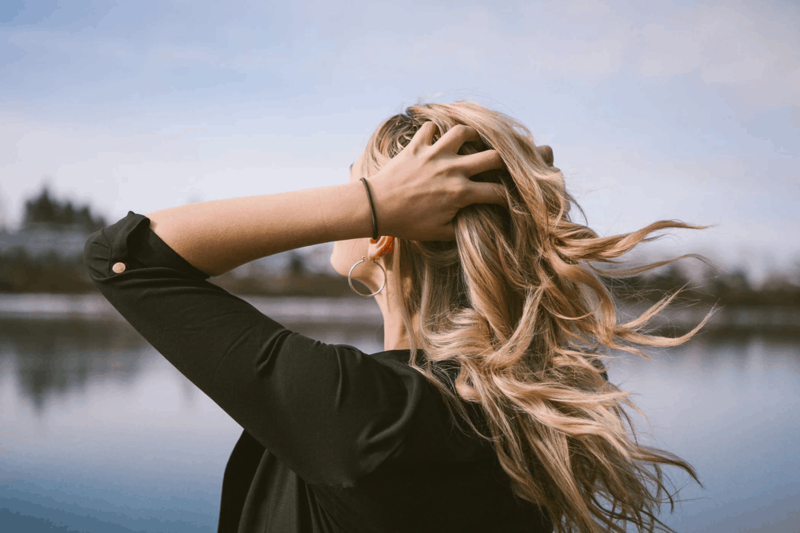 The desire for fabulous-looking hair is so ingrained in our culture that entire (multi-million-dollar) industries have been developed to satisfy our need. The problem is that most of the products we use contain a LONG list of chemicals you can’t even pronounce. But what if there was a product that was good for your hair and made from all-natural ingredients? Well, guess what, there is! It’s hemp oil. Will hemp oil for hair get you high? Hemp oil is—wait for it—an oil produced from the seeds (and sometimes plant matter) of the hemp plant. That’s why hemp oil is also known as hemp seed oil. But don’t get it confused with other cannabis oils, like THC oil or CBD oil. Those products are drastically different. Hemp oil is primarily a foodstuff, as opposed to a recreational drug or a medicine. That means that you can bake it in your brownies, pop it in pill form (as a supplement), or rub it on your skin and hair. It also means that you can’t take hemp oil to get high or treat PTSD.